Proms Lead Up – Swing Group! There’s less than two weeks left until Proms, so it’s time to look at another one of our main ensembles, our Swing Group! Celebrating their 10th anniversary this year, the Swing Group is now a well-established member of our main ensembles. 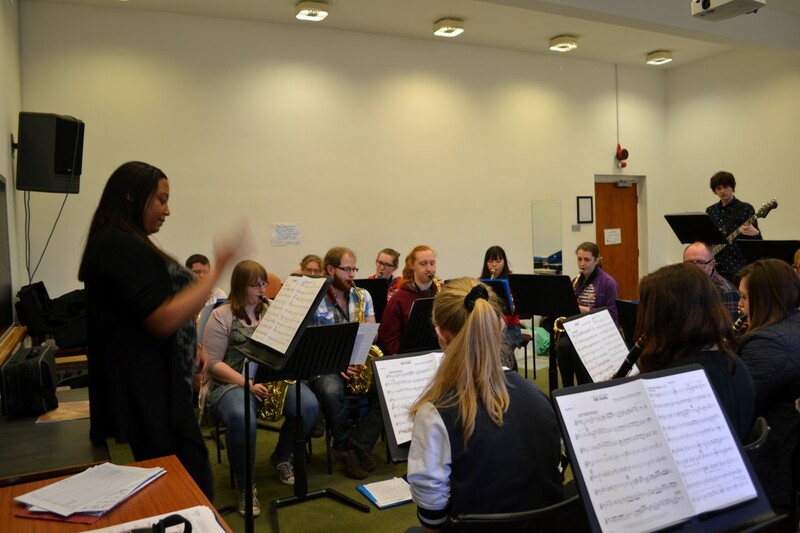 Featuring saxophones, clarinets and a rhythm section, the group plays a variety of swing music, providing an opportunity for those who want to play this kind of music, as there are limited spaces in the auditioned Big Band. Swing Group have gone from strength to strength this year, holding their 10th anniversary concert at the Park Hotel, where past conductors were invited to come and conduct the band in their favourite tunes. Building on this excellent night, the group went on to perform in the Lent term at both the Big Swing and the main stage at Campus Fest. For Proms this year Swing Group will be playing Sir Duke, the Simpsons and Skyfall, giving them a varied programme that showcases their talents. Join the Facebook event for ULMS Proms to be kept up to date will all Proms related developments! Tickets can be ordered NOW by emailing our Treasurer, Joseph Brownless, at ulms.treasurer@lancaster.ac.uk with the quantity and type of ticket you want! Alternatively we are now selling tickets on campus at certain times, check facebook/twitter for more info on when we’re about! ← Proms Lead Up – Wind Band!